Royal Trek is considered to be the short and an easy in Annapurna region. It is also one of the most popular trekking in the region as it provides the great views of magnificent mountains like Annapurna including Machhapuchhare, known as fishtail mountain among others. This short trek lies at the Annapurna region. The royal trekking route goes through the villages and farmland close to Pokhara and make excursion around the majestic Himalayas. Royal trek is famous trekking trail in Annapurna region, primarily for those who want to experience village life and striking mountain views within a short span of time. The trek to this area provides tourists opportunities for exploring the unique lifestyle and warm hospitality unique traditional culture of indigenous communities living in the area. The trek to this area begins from the beautiful lakeside city of Pokhara and passes through beautiful Gurung hamlets and ends at another While having trek, we enjoy with the astonishing views of Annapurna I, Annapurna II, Annapurna III, Fishtail, Lamjung Himal, Dhaulagiri and other snow capped mountains lying around. 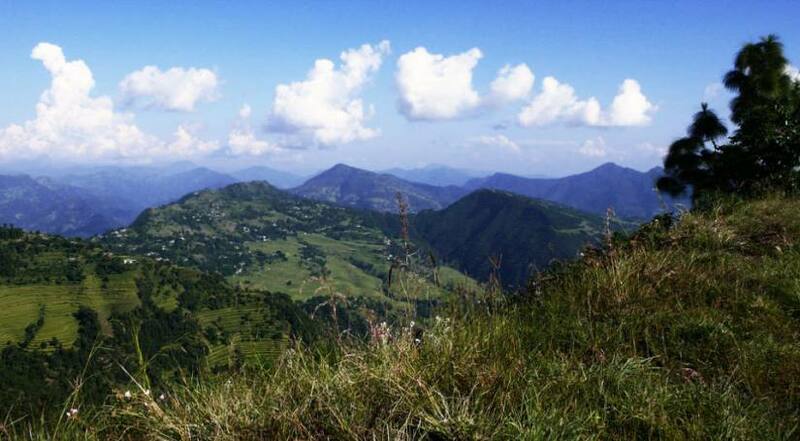 Royal trek takes you about four day round through the Himalayan foothills and making excursion around the trekking ends at Begnas Tal, we then drive back to Pokhara. This is very enjoyable trek especially for those who have only limited time. One of the important things, you have to remember about this trekking is that, there are no village in accommodations such as lodges and other facilities in this route, so tourists and all staffs must be fully self-sufficient, meaning Royal trekking is possible only by camping. 04 Days DRIVE TO POKHARA 825m/2,702ft, 7-8HRS. Himalayan Joy Adventure Sherpa will pick up you and transfer to the tourist bus station and drive through the beautiful river view & Nepalese countryside to reach the Pokhara lakeside and transfer to the hotel and explore the surrounding lakeside areas, overnight at hotel. After finish breakfast drive to Bijayapur Khola and we start our walk for about an hour through flat land area and we will see the lots of rice field before cross the river. The trail starts to ascend to Kalikasthan. Lunch will be served midway through the climb before arriving at Kalikasthan and explore the surrounding local village area. Overnight at teahouse. After breakfast we start walking through the different villages. We walk along the ridge of the mountain with Incredible views of Annapurna Fist and 2nd Lamjung Himal and Manaslu hips of other peaks. We explore many villages and the rhododendron and Pine forests. Overnight at Syaklung. Walk through the beautiful Gurung villages and mighty rhododendron and different forest. Half way through the walk there is comes dovan about 450m descent, then a 650m ascent to arrive at Chisapani. This is the best view point at which to see the Himalayan Panorama and Begnas village ara. You can see Dhaulagiri fifth heights peak in the world. Overnight Chisapani. We walk half way down the hill to Rupatal bensi and climb about 200 meters to arrive at Sundaree Danda. Walk 20minutes down to Begnas Tal for an hour boating to get Begnas and catch the private vehicle back to Pokhar and overnight at hotel. Early morning we’ll drive back through the scenic countryside and will stop for breakfast & lunch. It takes 6/7hours back to Kathmandu or fly back to Kathmandu. It takes 30 minutes. Overnight at hotel in Kathmandu. Today is free and last day shopping for souvenirs or gift to your family, friends or relatives .for you until your departure flight/drive or to commence any extra trips or activities you may have booked with us. Last day dinner in Kathmandu all together and stay overnight at hotel.